It’s been a while since Bob Freking showed us one of his cool designs, but now he’s back with the most coveted gadget of all, the Samsung Galaxy S6. The newcomer gets a dramatic trailer below. 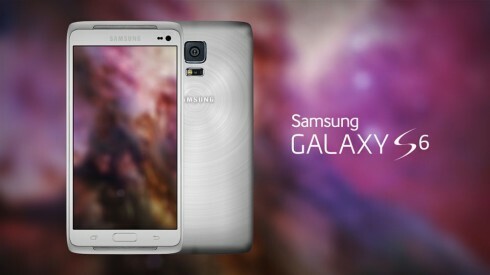 This Galaxy S6 concept is both waterproof and dust proof and it uses a brushed circular pattern aluminum case. There’s anti overheating technology on board and Bob Freking claims this smartphone is unbreakable. It has a 2K 5.2 inch display, that makes it a LG G3 rival, but this one is a super AMOLED panel. Samsung finally solves the acoustics issue and implements stereo speakers, placed at the front. Inside we find a 64 bit octa core CPU and at the back there’s a 20.5 megapixel ISOCELL camera. 2 day battery life is guaranteed through a 3500 mAh battery and the starting price of the Galaxy S6 is $499. Fingerprint scanning is improved and we also get 5G connectivity and a larger CMOS sensor for better low light capture. 128 GB and 256 GB of storage are available for this model as well.